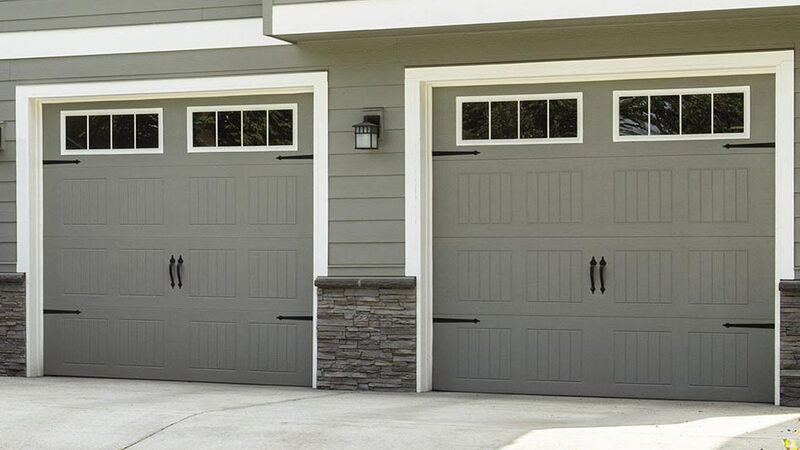 Built for performance and affordability, Wayne Dalton’s Classic Steel garage door Models 9100 and 9605 offer robust construction with a variety of styling options. 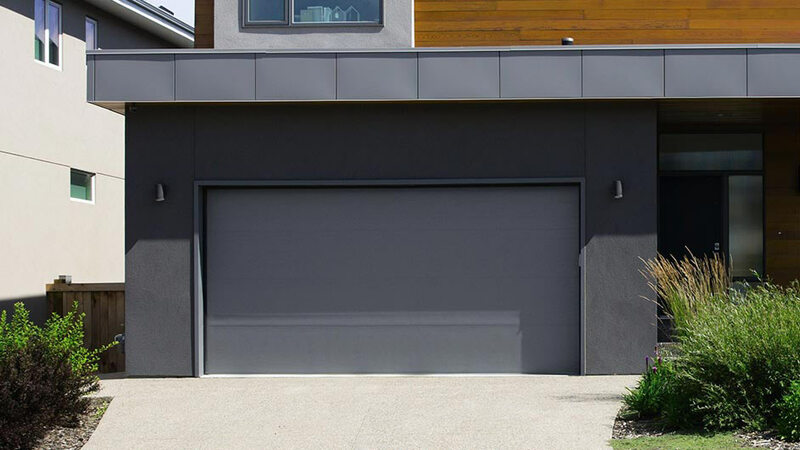 These doors also offer integrated struts for rigidity and strength, pinch-resistant panels and the TorqueMaster® Plus, our exclusive counterbalance system that safely contains springs inside a steel tube. Five classic and contemporary panel designs are available for these doors, along with a wide range of window and finish options. Model 9605 is available with the TruChoice™ Color System, Wayne Dalton’s custom painting process that offers more than 6,000+ colors. Online color swatches are only digital reproductions of actual standards and will vary in appearance due to differences in monitor and video card output. These digital representations should not be used to finalize color selection(s). Please contact Performance Building Products for actual color samples to match with your home or business. *Model 9100 Contemporary panel only. Majestic Brass, Majestic Leaded, Reflection Brass and Reflection Leaded are only available on Colonial and Contemporary Panels. Majestic Brass II, Majestic Leaded II, Reflection Brass II and Reflection Leaded II are only available on Model 9100 Contemporary Panel, and Models 9100 & 9605 Ranch Panel. 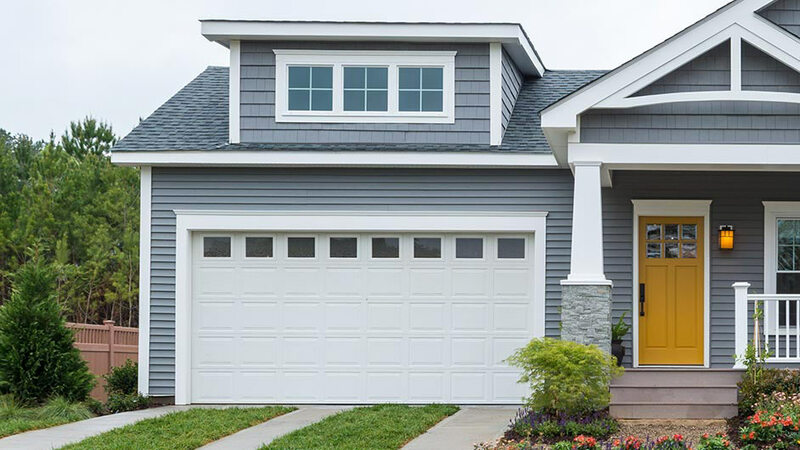 Not all window options are available with every panel style. Window options are not interchangeable between panel options. Window patterns are shown for a typical single-car door. Spacing of windows may change depending on door size. Not all windows are available in all sizes or all areas. Windows may be arranged vertically or horizontally on Colonial, Ranch and Contemporary panel designs. Up to 50% of the door can include windows. Windows placed in the bottom section of a door must use DSB 1/8”, or tempered, or 1/2” insulated glass. Vertical windows will be placed as a special order. 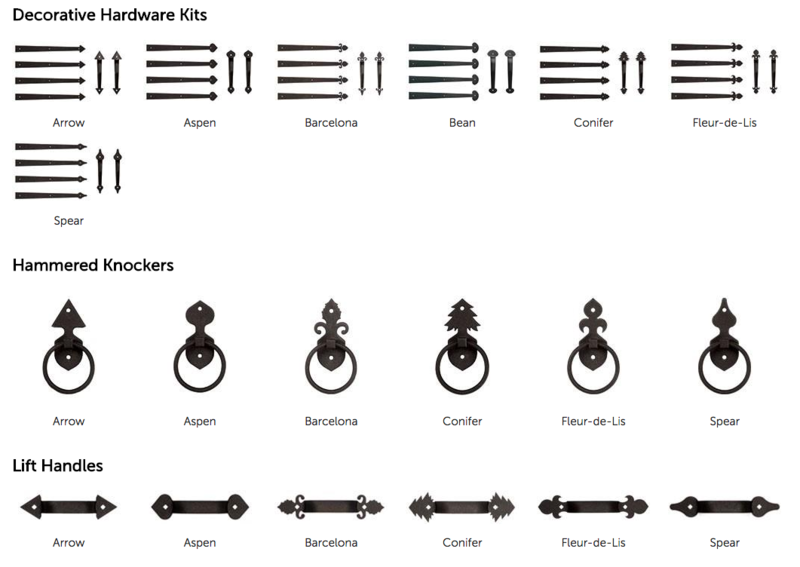 Decorative hardware kits come with four hinges and two pull handles. Double car doors come with two sets of decorative hardware kits. Additional accent pieces are available to match or complement each collection. Pull handle fit in center stile is dependent upon design and size of door.